Having found his voice as an LGBT sports diversity advocate, Billy Bean is now actively working to eliminate homophobia in sports. 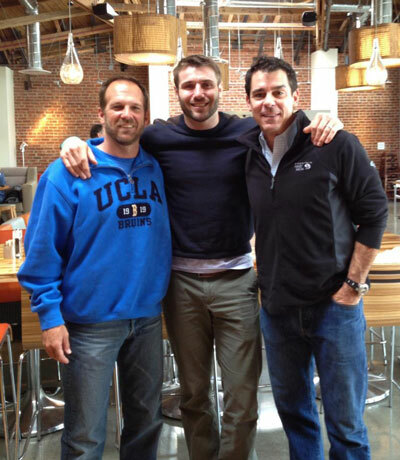 The former Padres hero abruptly retired from MLB as part of his coming out process but he left his heart in San Diego. In April the former outfielder returned to reclaim it. 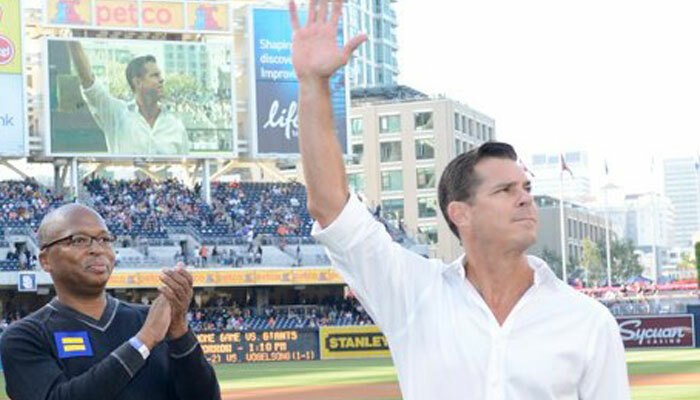 He joined the San Diego LGBT Pride’s annual Out at the Park event and Tailgate Party to throw out the first pitch at the Padres/Giants game at Petco Park, home of the San Diego Padres. This was the baseball town where Bean said he felt most at home – it was where he got to play the most and says it’s also where he felt like he believed in himself as a Major League baseball player. But to protect his secret of being gay, he never got involved with the thriving San Diego gay community. Now out and proud of it, he is making up for lost time. Recently part of a high-powered panel at UCLA’s Athlete Ally Week [our May 2013 issue] that was moderated by Cyd Zeigler of Outsports, Bean joined openly gay UCLA assistant softball coach Kirk Walker, Ben Cohen of the Ben Cohen StandUp Foundation, Brian Kitts, a co-founder of the You Can Play Project, and other former UCLA athletes to eliminate homophobia and bullying in sports at the college/university level and beyond. In his new role with the StandUp Foundation he hopes to be that “former player” for other professional athletes who are gay and wanting support to come out. Bean says he’s not a hero – he just finally told the truth. And in telling the truth that he was gay, he was introduced to the LGBT community and the realization of how much bigger and better life can be.